The `Million Dollar Hole’ — No. 14 at Slick Rock — is Horseshoe Bay’s most photographed hole. HORSESHOE BAY, Texas – This is good news for all of golf. Major new construction, renovations and upgrades aren’t just being done in the Missouri Ozarks. Not by a long shot. Other golf destinations – especially in Texas – are taking on expensive projects as well. Granted all the projects undertaken by the visionary Johnnie Morris in Missouri – latest are just-opened Ozarks National and the under-construction Tiger Woods design, Payne’s Valley — are the most eye-catching, but Horseshoe Bay Resort in the Texas Lake & Hill Country is making some noise, too. So is Barton Creek, a Texas resort less than an hour’s drive from Horseshoe Bay. The big spending at Barton Creek is mainly on its lodging options. Horseshoe Bay is upgrading most everything and the results figure to be rewarding. They’ve already elevated the resort’s profile. 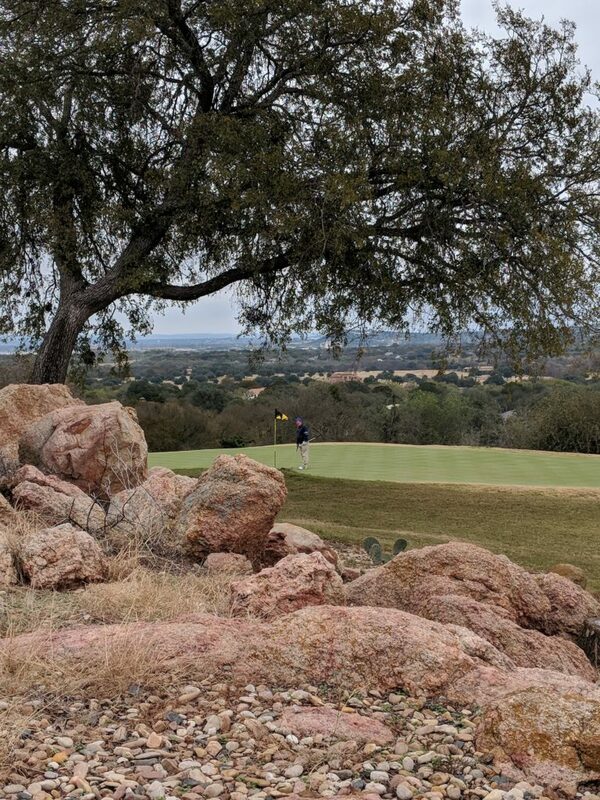 Did you know that the last two Masters champions – Sergio Garcia and Patrick Reed — are members at Horseshoe Bay Resort, which is located near the bigger town of Marble Falls. Anthony Holder, the resort’s director of golf, mentioned that only in passing – and after being asked a basic fact-finding question about membership. 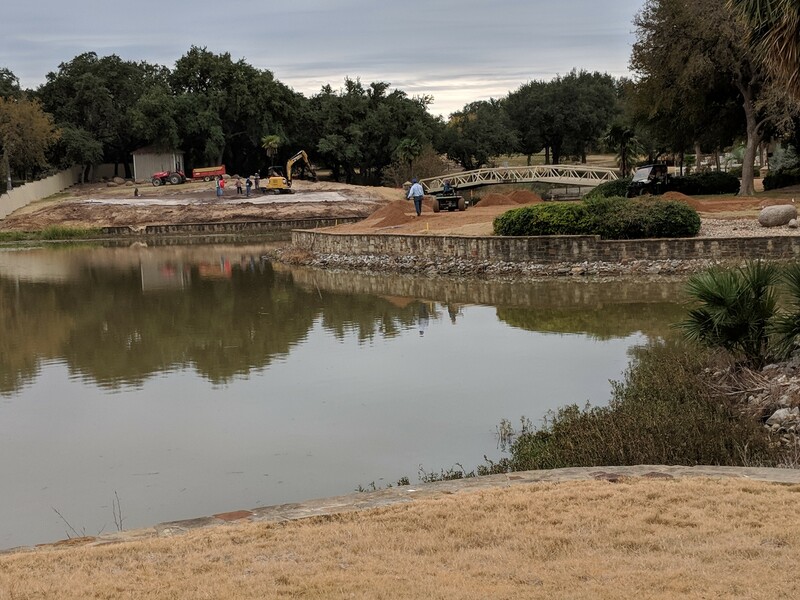 Lake LBJ will be a factor on two holes when the Apple Rock renovation is completed. 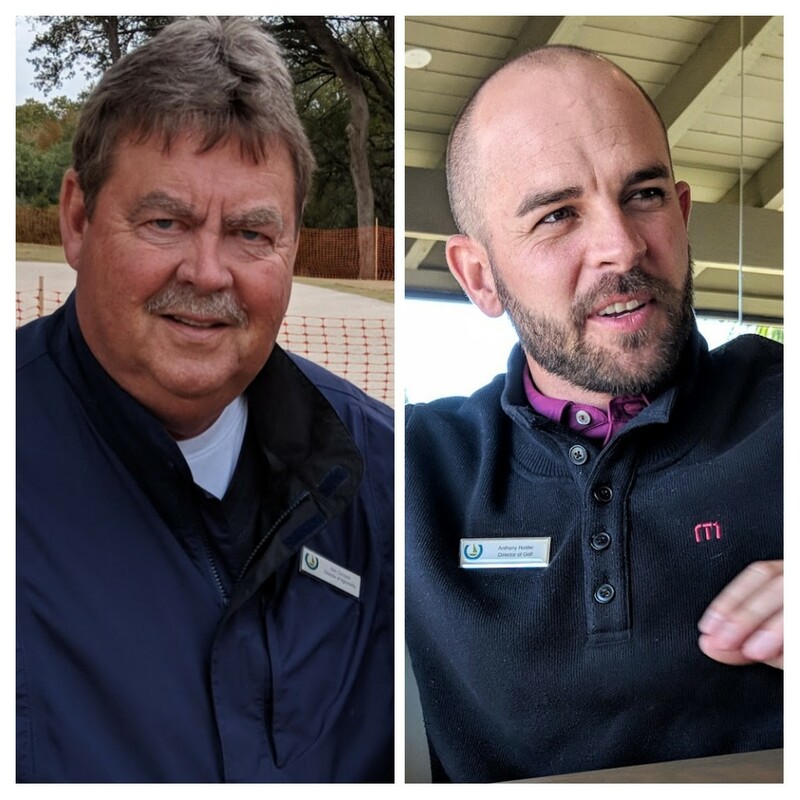 Most any place else a connection with two such prominent players would be put out front and center by a club blessed to having them as members, but in this Texas Lake & Hill Country golf is different. Horseshoe Bay has operated since 1971 with three courses designed by Robert Trent Jones Sr. He’s the late father of today’s prominent architects Robert Trent Jones Jr. — the name attached to Alabama’s popular golf trail – and Rees Jones, who gained the moniker of “the Open Doctor’’ for his frequent callups to get courses ready to host major championships. Jack Nicklaus designed the fourth course at Horseshoe Bay. It opened in 2012 as a private club that is rarely made available to resort guests. Nicklaus’ course is called Summit Rock. The three Jones designs are Slick Rock, Ram Rock and Apple Rock and Ram and Apple are operated together under the title of Cap Rock. There’s a lot of Rocks, to be sure, and nobody could quite explain why. 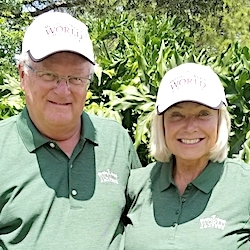 What was explained in detail by Holder and director of agronomy Ken Gorzycki was the ambitious plans the resort ownership has for the future. That future isn’t far away, either. Holder said the golf aspects of an overall $70 million renovation should be completed by July of 2019. 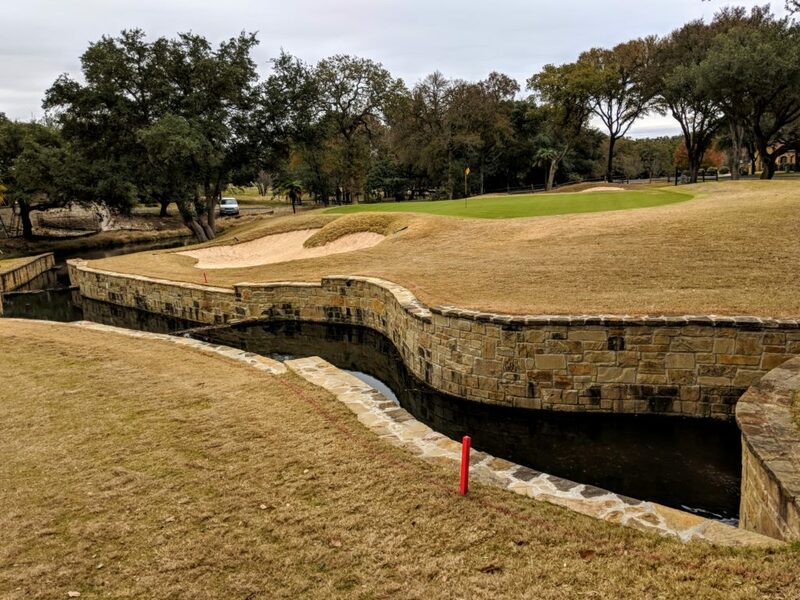 Rock walls are an attractive feature at Horseshoe Bay — especially on the Ram Rock course. Holder grew up in Dallas before spending 14 years at prominent California destinations Mission Hills, Indian Wells and PGA West. He’s been at Horseshoe Bay just a year but is already caught up in the enthusiasm for what’s been happening there. Horseshoe Bay has basically had just two owners. Norman Hurd and his cousin, Wayne, got the resort started in 1971. 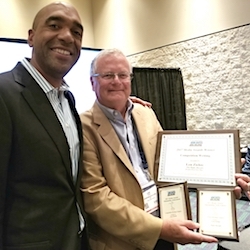 Morris D. Jaffe has been the owner since the mid-1990s and he more recently has gotten an investment partner, IBC Bank. That enabled all the upgrades to be tackled in relatively short order. How is this view of the No. 18 green of the Apple Rock course for a memorable visual? Slick Rock, which opened in 1971, is the most user-friendly and most heavily played of the courses. It also has the resort’s most famous hole – the par-4 14th which plays anywhere from 236 to 361 yards. This eye-catcher is called “the Million Dollar Hole’’ because of the elaborate 35-yard waterfall that greets players at the tee. They have to clear the waterfall with their drives, then get to see the attraction up close when they drive past it to their approach shots. The renovation of Slick Rock was completed in the spring of 2016. The renovation of Ram Rock, the second course to open at the resort in 1981, was a $3 million project and required the most work. It was completed in May of 2018. Boulders are incorporated into the design of many of the holes at Horseshoe Bay. The Bermuda grass on the greens was replaced by 007 bentgrass and diamond zoysia collars were installed around the greens to keep Bermuda from creeping into the bentgrass. The practice was part of all three renovations. So was the extension of cart paths. Because of the invasion of the Bermuda on the greens at both Ram Rock and Apple Rock had been shrinking dramatically. “A lot of greens had no hole locations left,’’ said Gorzycki. While the greens were being expanded the bunkers were restored to the size and appearance that Jones had originally created. To make sure of that Robert Trent Jones Jr. – son of the original architect – was involved in the renovation. Director of agronomy Ken Gorzycki (left) and director of golf Anthony Holder are in the forefront of the work being done at Horseshoe Bay. “He helped us with the process to maintain the integrity of his Dad’s designs,’’ said Gorzycki. Austin design consultant Mark Voss was also involved in that process. Jones Sr. was an architect well ahead of his time. His work at Horseshoe Bay is a testament to that. Apple Rock, the prettiest of the Jones courses, opened in 1986 and has the best water views. Lake LBJ will impact the layout at the 11th and 12th holes. The in-process renovation, a $2.5 million project, is to be completed by May 1. Like Ram Rock, the putting surfaces were extended. When the renovation began the course had less than 65,000 square feet of greens. When it re-opens it’ll have up to 87,000 – which is slightly more than Ram Rock’s 84,000. When Apple Rock opened it was selected the No. 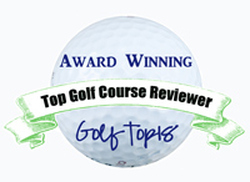 1 new resort course in the nation by Golf Digest. That came in the heart of the golf boom, so the accomplishment was particularly noteworthy because many courses were under consideration. (Summit was similarly honored, but the boom had subsided by then and only two or three other courses were considered for the honor). As part of the renovation work the bunkers included new drainage and the overall sand area became 40 percent less than what it had been. Horseshoe Bay also has the most impressive 18-hole Whitewater Putting Course, which surrounds the 360 Sports Bar. Whitewater is all grass and is set apart from other such courses around the country in that the scorecards givs measurements to each hole in yards, not feet. The whole course is 1,712 yards so obviously some putts are really long ones. The recent financial support has also led to the building of two clubhouses. It’s not all done yet, but the end is near. The clubhouses need just a few more months and Apple Rock is the last course to get renovated. The work there is scheduled to be done by May 1, 2019. When all is said and done Apple Rock and Ram Rock will share a new clubhouse, pool, cabana, pro shop, pavilion and indoor-outdoor addition to their practice range. A new clubhouse will also be built at Summit Rock. Hotel room upgrades have already been completed. 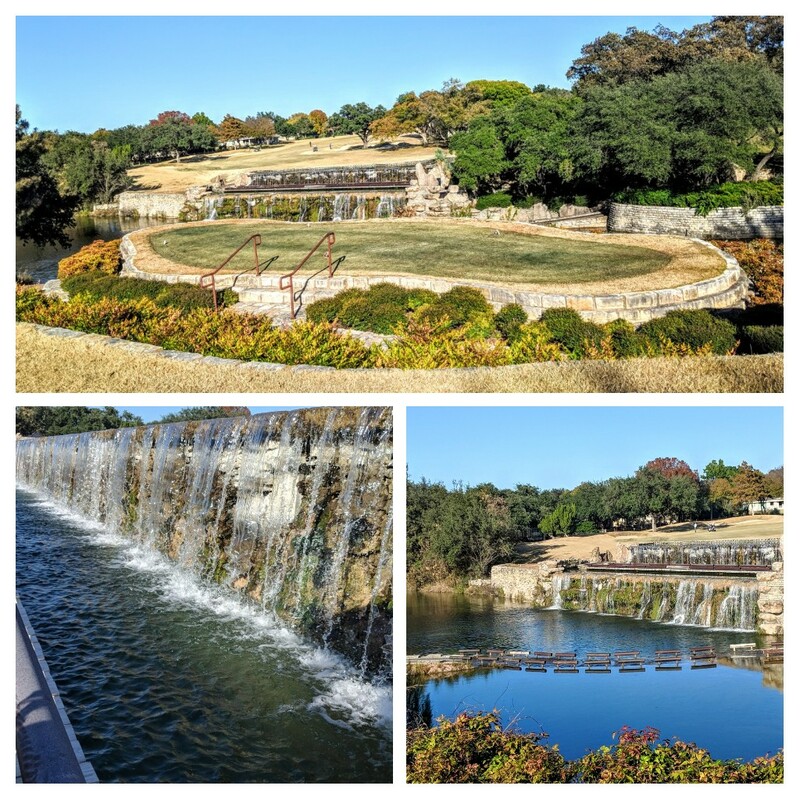 Numerous fountains spice up the atmosphere at the Horseshoe Bay courses.